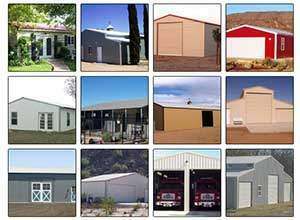 METAL BUILDING KITS manufactured by our company come in a variety of styles and models to fit most any purpose, taste, and budget. 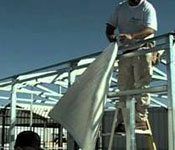 We design and manufacture cost-effective metal building kits for everything from light residential use on up to heavy-use commercial applications. If you are looking for a small 200-square-foot home workshop, a 600-square-foot guest house, or a large commercial structure of 4000 square feet or more we have you covered. 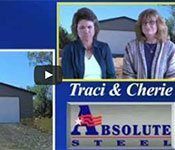 ABSOLUTE STEEL forges our steel building systems from the ground up, beginning with a high-strength galvanized tubular U.S. steel frame system. In addition to being flat-out TOUGH, our structures are designed to be assembled without the need for special, high-priced equipment, such as forklifts and cranes. Additionally, many of our structures feature a stand-alone framing system that gives you the flexibility to use a broad spectrum of exterior materials such as wood, stucco, or veneers. 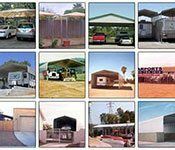 Our structures are available in a wide variety of sizes, styles, and models from which to choose. We manufacture six base styles, each of which can be sized and customized in hundreds of ways. Please feel free to view the different styles here. Available in standard widths from 10′ wide to 40′ wide. Whatever you need, we are the manufacturers, so we can fabricate to your exact specifications. Lengths can range from 12 feet to 200 feet or more. We can fabricate to meet your requirements. Building heights and roof pitches can be adjusted to your needs, too. Custom sizing and specifications are available. 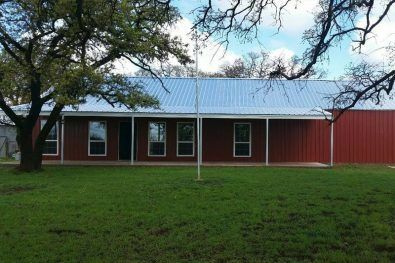 Over the years we have been commissioned to design and fabricate many different types and styles of steel structures, including buildings with gambrel roofs, sloped roofs with mansard eaves, portables, emergency and disaster relief housing. This is one of the advantages you enjoy when you deal with the actual manufacturer. Our metal buildings are designed for the DIY’er. We engineer all of our systems to be do-it-yourselfer friendly. 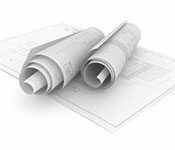 Each and every one of our structures come with complete instructions. Our instructions are simple to follow, and well-illustrated so it’s easy to see what’s being talked about, every step of the way. Complete and well-illustrated instructions included with each kit. Delivered in neatly packed bundles. No hard to find tools needed for assembly. You can view our installation videos online. Videos are available in English and Spanish here. Most times buying new tools is not an issue. 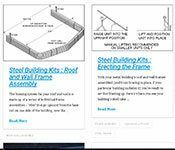 Your new structure will go together with tools that many DIY builders already have on hand or can easily rent or purchase. 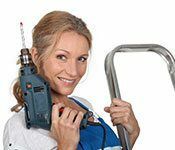 You will not need specialty high-priced tools. We do not use foreign-made steel that we could buy at cheaper rates – it just doesn’t meet the technical specifications called for in engineering. Our frame system is referred to as a stand-alone frame. This means that you can use a metal frame, and then install your choice of exterior to it. Use wood, stucco, brick, and the like. 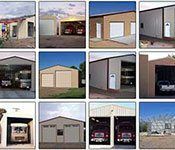 All you have to do is order one of our metal buildings without the panels. ALL of our parts are fabricated in the USA. When calling our customer service department, the person answering that telephone is a short walk away from where the product you’re interested in is being made. 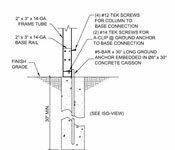 Check out the technical aspects that prove why our building system is the superior system for your steel building kit. 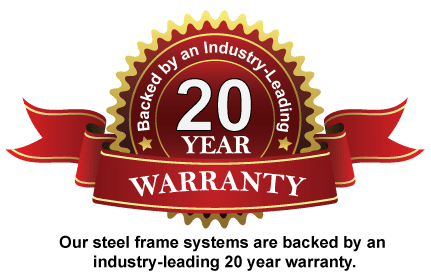 We are so confident in our structures that our frame systems have a 20-YEAR WARRANTY and the exterior panels have a 20 to 40 year warranty against fading, chalking or peeling. Panel warranties are dependent upon which panels you choose for your building. 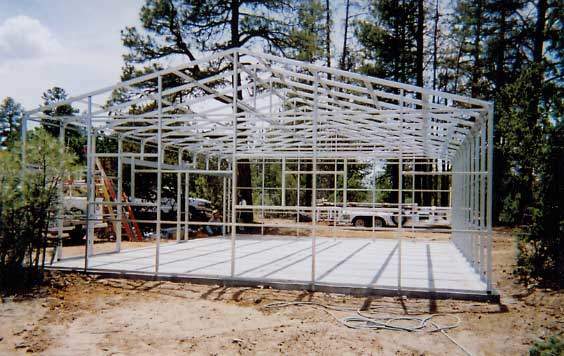 ABSOLUTE STEEL structures are available in widths up to 40′ wide; standard lengths start at 20′ and increase in 4’or 5′ increments until you run out of land. Our building kits are offered in standard heights starting at an eave height of 7.5′ and can be increased in 1′ increments up to a 15.5′ eave height. A 15.5′ eave height can give you clearance of 15′-4″ on a 40′ wide garage! If your project demands it we can also manufacture our structures in a custom size to fit your needs without the “custom” cost. Your exterior panels can come in 18 attractive colors and are fully guaranteed for up to 30 years against fading, chalking or peeling. Our steel structures stand strong in some of the toughest environments. Our structures stand strong with snow loads in excess of 60 lbs per square foot from the Sierra Nevada mountains to the freezing Canadian tundras. You can find our structures along the coast line of Florida, where sustained wind loads are in excess of 140 mph. Our building kits stand strong deep down in the Cargil salt mines, and in the deserts from Afghanistan to Death Valley, California. 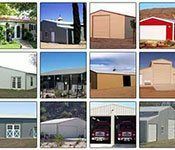 All branches of the U.S. Armed Forces use our metal buildings. In addition, they are also the choice of many city, county, state and federal government entities, fire departments, police departments, municipal departments, and more. Our steel structures are certainly not limited to government uses – THOUSANDS of private individuals and businesses large and small use our buildings, all across the United States. 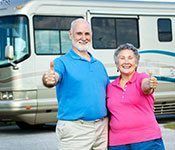 For a taste of what we mean, just take a look at some of our satisfied commercial customers. 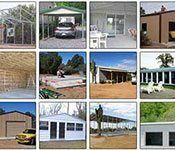 Please take a look at the images below for real examples of what our customers have created with their Absolute Steel building kits. 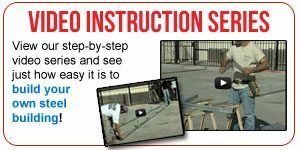 The above is a video created and submitted to us by one of our customers – the person installing the building. Click play above, turn on the sound, and enjoy watching! Jennifer attached is my building project. As you can see it is finally finished and turned out great. For all the naysayers I built this pretty much by myself. A 71 year old guy with only some minor help from my wife and a friend once in awhile. Hope this video turns out great. This was my whole project including the rear and front block wall. Yea! 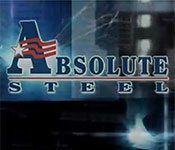 As the owner of Absolute Steel, I certainly want to thank you for sharing your building installation with us. We’ve been at this for over 20 years and send our buildings all over the country and the world. (Only 20% of our sales are here in Arizona.) Very seldom do we ever get videos or feedback of any kind so it’s always encouraging for the staff to see the fruits of their labor…caused I might add, by the fruits of your labor! It’s a good joint effort!! 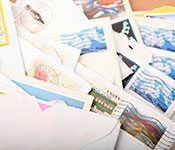 Many times I have told staff that we have the best customers in world—they’re hardy, self-sufficient folks who have commonsense and know how to get things done. Obviously that describes you. 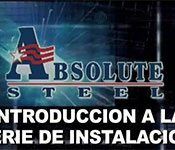 Thank you for your good faith in trusting Absolute Steel with your project! See some of the cool things that some of our customers have done with their building kits. 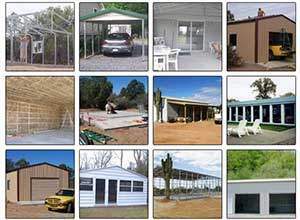 View some examples of what customers have done with their metal buildings.